Usually £4 when I buy it, so £3 is a genuine saving. The new case alone would cost over a quid in Boots. 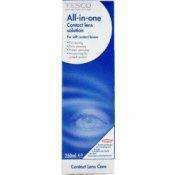 Suitable for hard and soft lenses.